The same time Rachel is going to America we are going to get the white girl over here to be campaigned for a while. USCh, Brazilian and Argentinian Ch, SBIS, BIS Winner Gigi Da Maya “Gigi”. 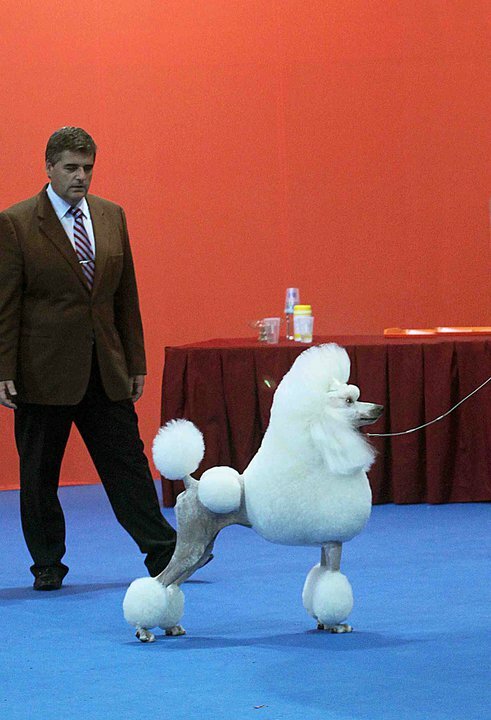 Gigi got her American title when she was a puppie, shown by Chris and Rachel. She went to Brazil December 201o. During 2011, she has got 49 BIS in Brazil!!! In Brazil she was handled by Divone Rasera. Gigi is by my white boy Ch. Lycos Crazy In Love “Simon” who went to Australia and Debbie Cozart 2006. Simon is a Top producer and has Champions, Groups and BIS winners all over the world. Gigis mother is Ch. Teodora Da Maya who goes back to Canmoys and Lake Cove lines. Thanks Zuleika for letting us have this white girl and we hope she will make your name as proud as Ch. Diego Da Maya did. Poor Peter he is just going over to America for a couple of days to travel with the dogs, I wish I could have gone instead but I have to stay home with my job and the dogs. Also Peter is very happy to go,, he loves to travel and to meet people. 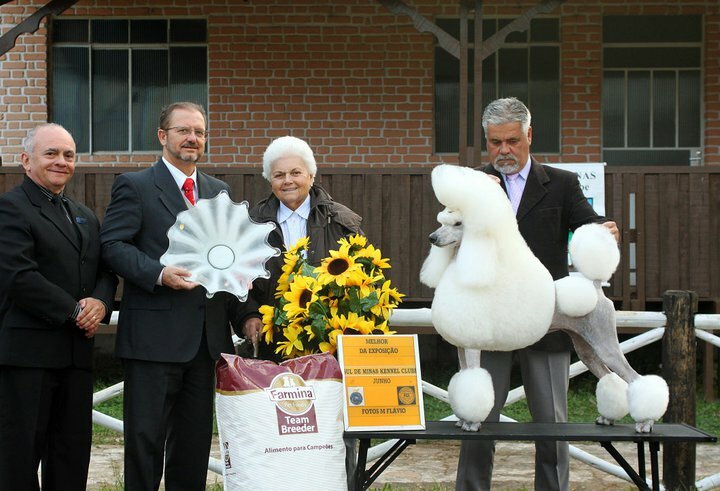 Gigi with breeder/owner Zuleika and handler Divone Winning BIS in Brazil. ← Ch. Huffish Da Maya Woman on her way to America!